I first tackled Curved Ridge around 8 years ago and it has always impressed and never let me down. I remember thinking that it couldn’t be nearly as enjoyable as the Aonach Eagach but as soon as I got on it I had a different opinion. I think this is one of the best routes in Scotland. 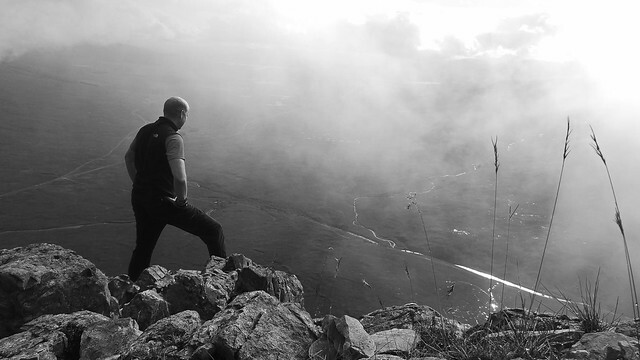 It position and views are stunning and topping out on to one of Scotland’s most iconic mountains is fantastic. So when I had a spare morning away from normal duties (kids away!) and the forecast being good I decided to hold back on my Corbett bagging quest and head up Curved Ridge again (last time I was on Curved Ridge was a couple of years back after ascending Agags). take me up it anytime . great stuff would love a crack at that! great report and pics. long way off for me but BEM is one of those I'm keeping as a possible compleat, not sure how many friends and family i'd get up the curved ridge route though. oh and that headcam - i'm pretty okay with exposed scrambling, but the shaky headcam just makes me dizzy! 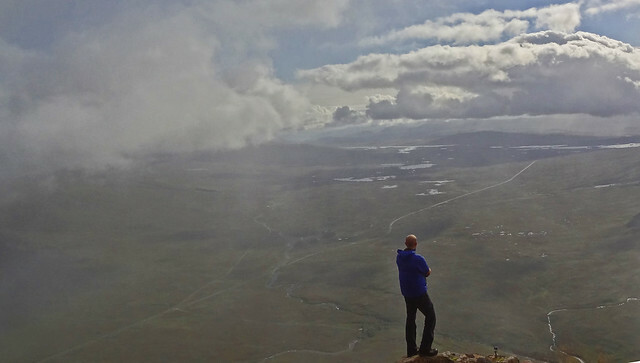 Another dramatic scramble, great film, great views, wonderful stuff! Bitter sweet memories of my few times doing this route...The last time I got hit full face by a falling rock, then flew 12 foot through the air landing on my back, and bouncing off a mate behind me en route! Lucky to come out of it with just a bloody and swollen face, which was black and blue for about a month. SAVAGEALICE wrote: great stuff would love a crack at that! Thanks Savage alice- its not as difficult as it looks - just need to find the start! riverlodge wrote: great report and pics. long way off for me but BEM is one of those I'm keeping as a possible compleat, not sure how many friends and family i'd get up the curved ridge route though. The Rodmiester wrote: Another dramatic scramble, great film, great views, wonderful stuff! mountainstar wrote: Another great video Murray. awesome,fab report...would love to go up there with an experienced guide...it looks a fab day out! !